*Please not that some of the information below only applies to our upper camp program. What is the CGI dress code? How does Trip transportation work? What are the the safety measures for the swimming pool? Campers are to wear comfortable loose fitting clothing appropriate for sports and activities. Campers may wear whatever they choose (no bathing suits please) providing that they are safe and appropriate. Campers should wear tennis shoes and sunscreen as well. Boys are encouraged to wear a kippah or baseball cap as well. On Thursdays (Trip Day) all campers are to wear a CGI Camp Shirt. A Camp shirt may be bought from the office for $8 each. Camp Gan Israel uses a modern fleet of mini-buses and buses as well as professional drivers from a local Bus Company. Occasionally, the camp van is driven by the camp director. Campers must remain seated at all times. Seat belts are provided and their use is mandatory at all times. What are the safety measures for the Swimming Pool? Camp Gan Israel is fortunate to have an on-site beautiful large swimming pool. In addition to being professionally maintained, a 4 ft fence surrounds the entire pool area and is locked throughout the day. Only the lifeguard and camp director have the code to enter the pool area. The Mini Gan division does not have free swim in the swimming pool. Twice weekly, they will have swim instruction in the pool with the lifeguard and counselors present. All other swim activities will be in kiddie pools. All children who can not stand in the shallow end of the pool wear a life vest when in the swimming area! The Upper Camp Division will have daily free swim and swim instruction twice weekly. If a child wishes to swim past the rope into the "deep end" a skills test is mandatory for safety reasons. CGI is a non-judgemental environment made up of campers from all Jewish backgrounds. An individual's level of observance is not stressed. All children enjoy a shared Jewish spirit through songs and projects. CGI caters to members of all Synagogues and affiliations in San Antonio. We do not permit your camper to bring jewelry, radios, expensive toys, etc. to camp. 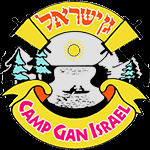 Camp Gan Israel will not be responsible for any valuables brought to camp. Campers only need a lunch, bathing suit and towel each day, regardless of the weather. We suggest that campers wear tennis shoes and socks daily. Please apply sunscreen at home. Every camper will be encouraged to drink from the water fountain throughout the day. Please impress on your child the importance of drinking water in the hot Texas sun. The directors are available to answer your questions and discuss your concerns, during the day at the Camp Office and by email at director@ganisraelsa.com. Please feel free to call during these times or leave a message at the camp office during the camp day at (210) 764-0300 x204. In case of emergency only she may be reached on her cell phone at (210) 325-1837. Tips or gifts are a wonderful gesture, though not obligatory.